Our minimum stay is 3 nights. Our cottages are strictly no smoking. 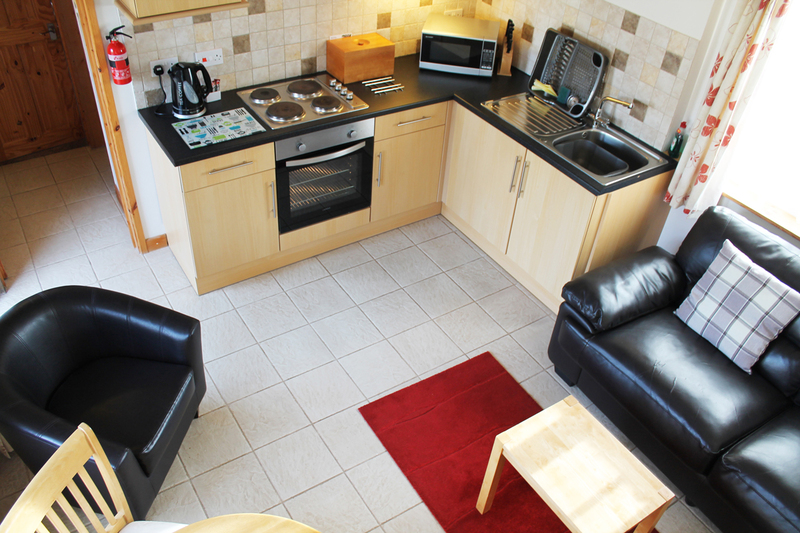 A fully equipped kitchen to meet your self catering needs, with a wooden dining table and chairs. 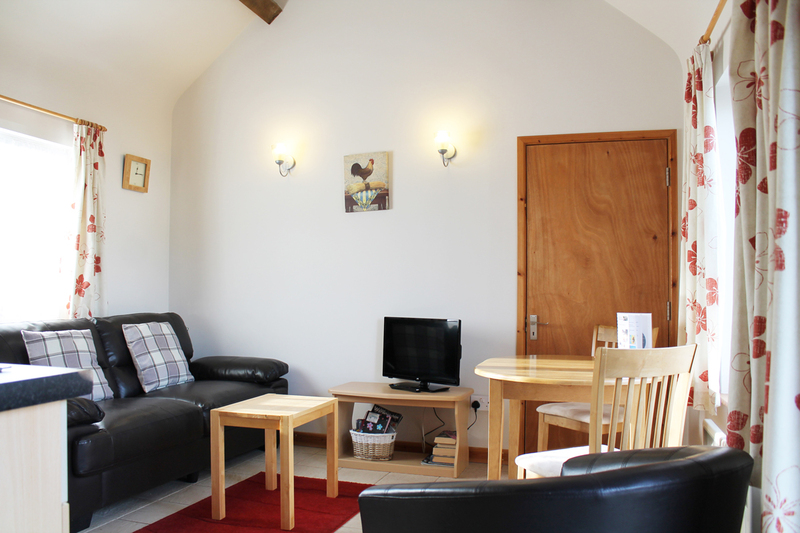 The living area in The Workshop has a comfortable sofa, tub chair, a 28'' Smart TV and side table. Wall lights give a stylish feel to the living area and throughout the cottage. 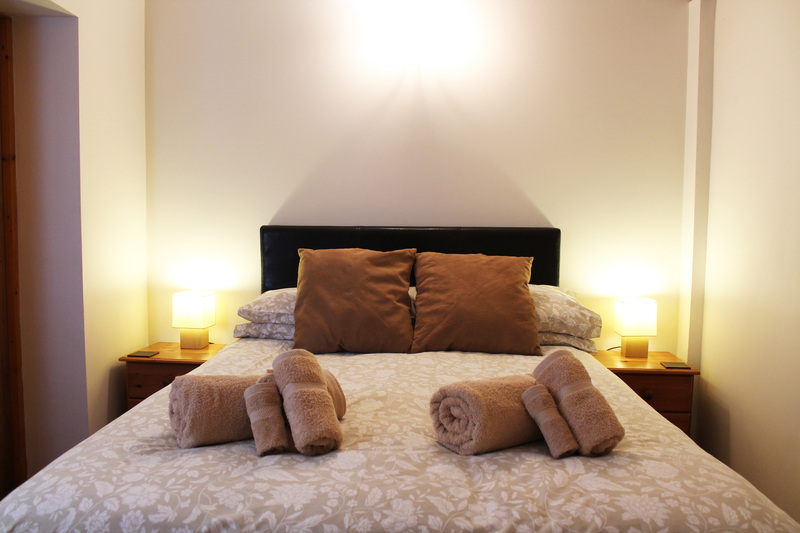 The bedroom is furnished in pine with a double bed, wardrobe and bed-side tables. 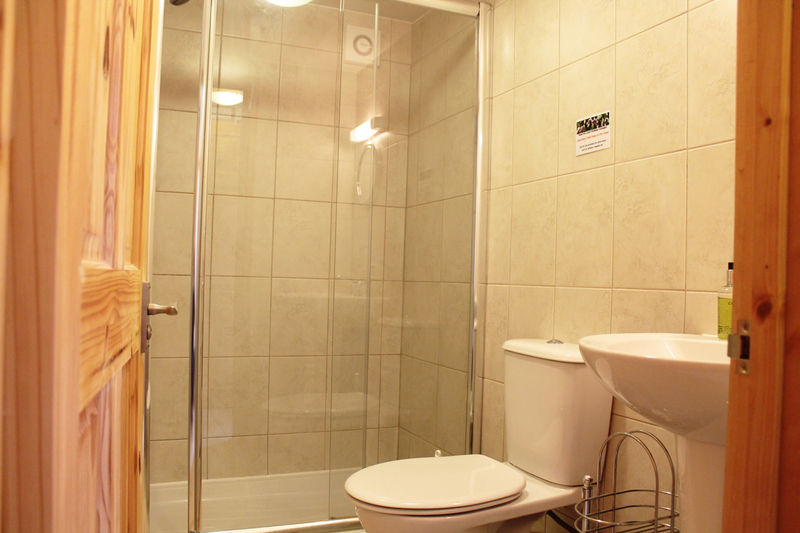 A white fitted double sized shower with shaver point. After a pleasant day out, enjoy a relaxing drink in the private garden that catches the evening sun. Access to the cottage is through double gates via the Nursery. There is ample secure parking adjacent to the cottages. Located in the heart of the countryside on the Warwickshire / Worcestershire border, there are many walking and cycling opportunities locally, including the Malvern Hills. There is also secure storage for your bikes. 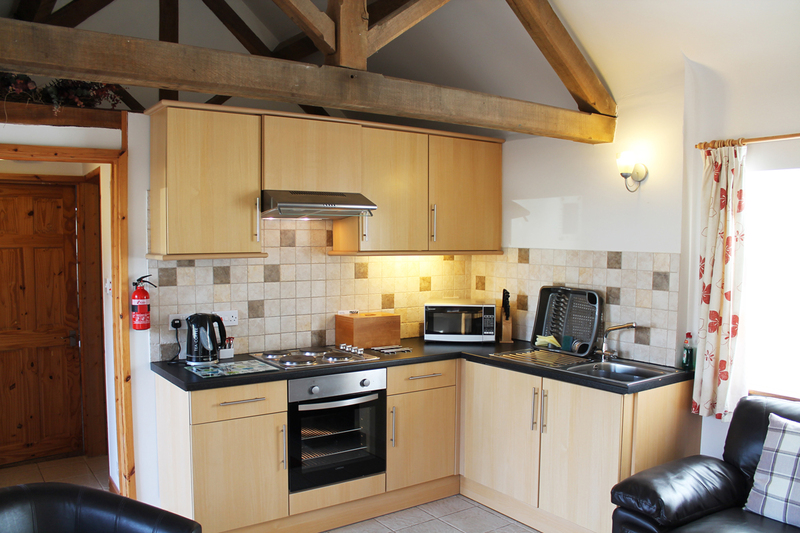 New Inn Lane Holiday Cottages are situated in the heart of the countryside on a working nursery; a family run business that has been established for over 40 years. Click here for prices, availability and to book now. Both cottages have lockable interconnecting doors, allowing them to be rented individually, with full privacy, or as one large cottage; ideal for holidaying with family and, or, friends.